The sporty and elegant BIRKENSTOCK Rio sandal was designed in the 1980s and has since accompanied millions of women through the summer. 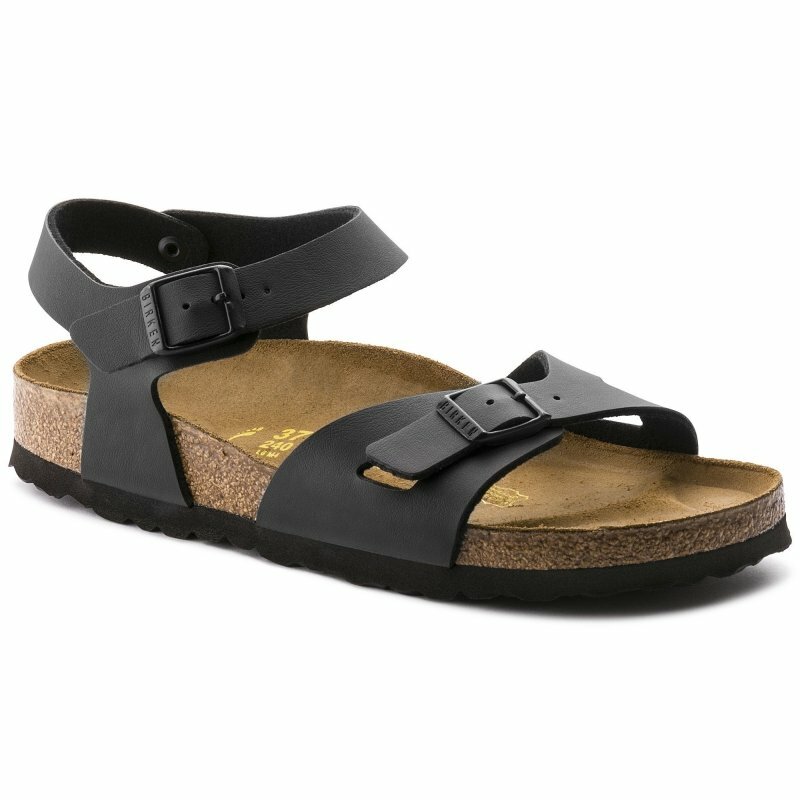 This ultra lightweight model with an original BIRKENSTOCK cork-latex footbed and smooth suede lining boasts an excellent fit thanks to two adjustment options. By virtue of individually adjustable metal buckles, the sandal can be adjusted to perfection and therefore ensures firm grip on any surface.